Rosarian Academy opened its newly constructed hands-on learning environment, the Freitas STEM Innovation Center, on the first day of school, August 27, 2018. 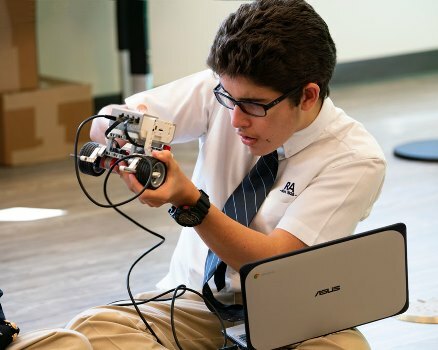 Stocked with a video green screen wall, 3-D printer, laser cutter, EV3 kits, BeeBots and much more, students and faculty are embarking on an innovative school year. The school is hosting a showcase for parents on Thursday, November 1. 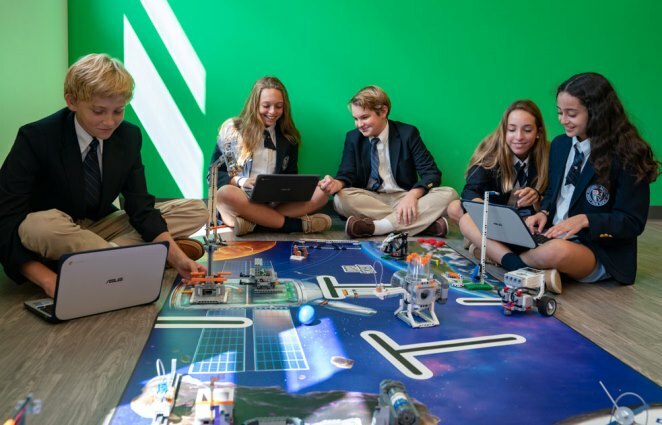 Parents are invited to come see how students think, create, design, and problem solve in the newly renovated 1,840 square feet of cutting-edge space. Student-led stations will be set up for parents to use the wide-array of technological equipment and experience the project-based and problem-based learning that takes place in the classrooms every day. The official ribbon cutting ceremony and dedication of the STEM center will take place on Friday, November 2. The ceremony will include honoring the major donors who have helped Rosarian Academy make huge strides in its STEM programming: Mary and Mark Freitas, Wiliam & Jean Koeppel, Estelle Curran, and the Adrian Dominican Sisters. Attendees will include the aforementioned individuals and members of the Rosarian Academy Board of Directors, Charitable Trust Board and Emeritus Board. A reception will be held at the Palm Beach Yacht Club following the ribbon cutting and dedication. 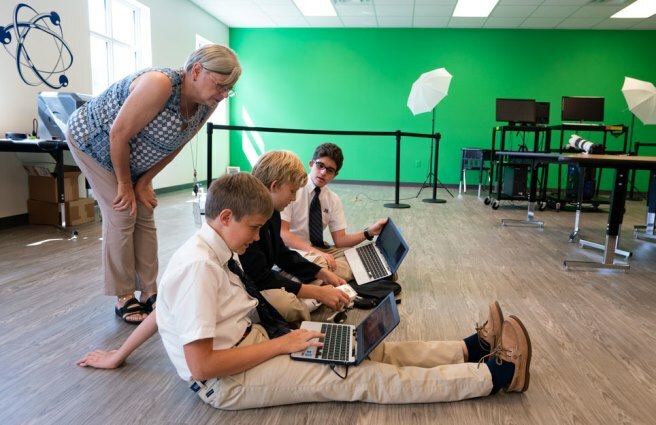 In tandem with renovating and opening its new STEM Innovation Center, Rosarian Academy recently partnered with Carnegie Science Center as the first Carnegie STEM Excellence Pathway partner in the state of Florida. Carnegie STEM Excellence Pathway is designed to help schools adopt best practices in STEM education. This shared learning process and continuous curricular improvement is the school’s commitment to preparing its students for any career path in the 21st century.